What is Integrative Holistic Animal Health Care? 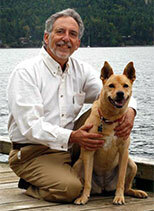 Welcome to this new column on integrative holistic animal health care! There is a tremendous increase in interest in natural holistic approaches to both human and animal health care these days. As one of the pioneers in acupuncture and holistic veterinary medicine, I am elated to see this new enthusiasm. However, while practicing, teaching and writing on the future of this field, I have come to appreciate that there is a balance between exploring the benefits of natural health care and acknowledging the benefits of conventional western medicine as well. The philosophy of this column reflects the insights that I have gathered over the past sixteen years of practicing this integrative approach. Dr. Andy Weil is one of the major proponents of this approach in human medicine. What actually is Integrative animal health care ? The vision of this approach is to take the best of both holistic, natural approaches to animal health and combine them with the best of conventional veterinary medicine. No one form of medicine has all the answers, cures to all problems. It just seems prudent to take the best from all fields and integrate them into a new comprehensive form of animal health care. For instance, if your pet develops a bacterial infection, the conventional approach would be to administer an antibiotic. This certainly seems prudent. However, from an integrative approach, one might also support the bodies defense systems with various herbs and nutritional supplements to help the body fight it off. An integrative approach may also include an evaluation of your pets health to see if there was some predisposing weakness that might have allowed your pet to come down with the infection. This approach differs from other holistically oriented approaches such as classical homeopathy in which the practitioner would probably not use an antibiotic at all, but would rather choose a specific homeopathic remedy , an extremely high dilution of various herbs, minerals and plant products, that would stimulate the bodies defenses to fight off the infection. Where do we start with integrative animal health care then? First let me suggest some good reference sources for some of these different approaches to animal health care. There are numerous books out on natural health care for pets, some are better documented than others. The classic standard in this field is “Dr. Pitcairns Guide to Natural Animal Health” by Rodale Press. This is an excellent resource for novices in this approach. 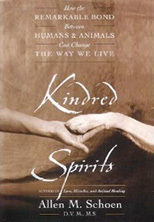 Other books for animal caretakers representing different approaches to this field include: Anitra Fraziers “The Natural Cat”, Cheryl Schwartz’s “Four Paws, Five Directions, Chinese Medicine for Dogs and Cats” and ” Love, Miracles and Animal Healing” by myself and Pam Proctor. There are terms that are commonly used in the natural field that may be somewhat foreign to some of you. It is amazing how many people including many veterinarians and human doctors do not realize the difference between the terms holistic and homeopathy. Holistic Veterinary Medicine is a term that the American Veterinary Medical Association defines as “a comprehensive approach to health care employing natural and conventional diagnostic and therapeutic modalities. In practice, it incorporates but is not limited to the principles of acupuncture and acutherapy, botanical medicine, chiropractic, homeopathy massage therapy, nutraceuticals and physical therapy as well as conventional medicine, surgery and dentistry”. As you can see, it is quite comprehensive and does not exclude conventional approaches. On the other hand, homeopathy is a complete separate form of medicine that utilizes remedies composed of extremely high dilutions of various herbal, mineral and animal substances These substances are administered to stimulate the bodies own healing processes. Many holistic practitioners also used the term animal companions or animal caretakers rather than animal owners, which may denote heirarchal concepts that are objectionable to some. Other terms that are used include natural and complementary. Alternative means that the approach used is an natural to conventional medicine and in this may be the case in some conditions. Complementary means that the approach can be used along with conventional medical therapies and support the bodies abilities to heal itself. 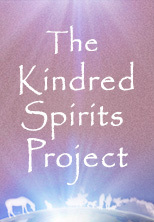 In the past, some called these approaches “New Age” medicine. Actually, this could not be farther from the truth. Many of these therapies are hundreds, if not thousands of years old. The roots of holistic medicine can actually be traced to ancient chinese medicine where there are many levels to medicine including nutrition, meditation, exercise, both mind body techniques and aerobic, massage as well as acupuncture and physical adjustments similar to what is now called chiropractic. My goal in this column is to offer the reader a balanced approach to animal health care, offering the best of both conventional and natural and complementary medicine and to suggest practical options that you can do to help your pets! The first things in this balanced, integrative approach to animal health care that I would like to leave you with are basic common sense preventive health ideas. These include exercise and good nutrition. Exercising with your pet can be extremely beneficial for both of you. It is important that you both do not overdue it at first, but a regular exercise program can bring you both closer and improve the loving relationship you have with each other, whether you have a cat or a dog. With dogs, if you are not already, make your dog walk a meaningful and fun experience. Make sure to walk your dog at least two to three times a day if not more. Make sure if it is extremely hot or cold out or if your dog has a debilitating condition that you do not overdue it and that you both have plenty to drink so as not to dehydrate in hot weather. If you have a cat, exercise is also critical. If your cat tends to be a couch potato, develop some games to play that gives them exercise. We will go over these in more detail in future columns.